I went away this week, to Montpellier for VINISUD, the 'Mediterranean wine trade fair' is what they call themselves for 'wines of the south', and it was great. Almost every wine I tasted a) tasted good b) was organic or biodynamic and c) was affordable – in the 5 to 15 euro retail price range. Now maybe I was just lucky but I got the impression that as long as I avoided the fruit lozenge coloured ones, the shimmery pinks and bright yellows lined up all over the place, I could not go wrong. Corbières and Minervois were my two favourite areas – not to be too romantic about it but they actually have a dry taste that I associate with the winds I have seen blowing over the vines, forcing them half flat. Plus the best ever tasting red organic wine I have ever encountered from Domaine de Clairac, a Vin de Pays de l'Hérault. It will become my house red after Château Fonroque (Saint-Emilion biodynamic red which is wonderful but 22 euro a bottle so not an every night wine). But none of that is why I am shocked. I am shocked because I got back to Bordeaux to find out that the primeur tastings had started. I swear. At least I do according to the Figaro website which has not only already tasted them, but has taken to putting "L'abus d'alcool est dangereux pour la santé, à consommer avec modération" at the end of their ARTICLES. I am not joking. I know the whole ANPAA thing was a bit seismic, but really, there is no need to do that on a printed article, with no pictures. I must check if it is the same in the paper. It CAN'T be. That would be mad and auto-censorship from a height. But maybe they are just covering themselves. Like when all the French wine growers moan and say they were never allowed to put the name of the grape variety on the label because it was forbidden by INAO (Institut National des Appellations d'Origine). Well, INAO declared they had never said any such thing. But that was the kind of climate. And this is the climate now. I suppose I had better put "L'abus d’alcool est dangereux pour la santé, à consommer avec modération" at the end of this article. God be with the days when someone dared to put "Drinking this may cause pregnancy" on a bottle of Bordeaux. He was Dutch if I remember right. And it was a JOKE – always the first thing to go when auto-censorship arrives. Humour. Anyway, the point about the primeurs is that, although The Figaro has the headline "First impressions on the primeurs" it spends the next paragraph explaining that it is much too early for first impressions. 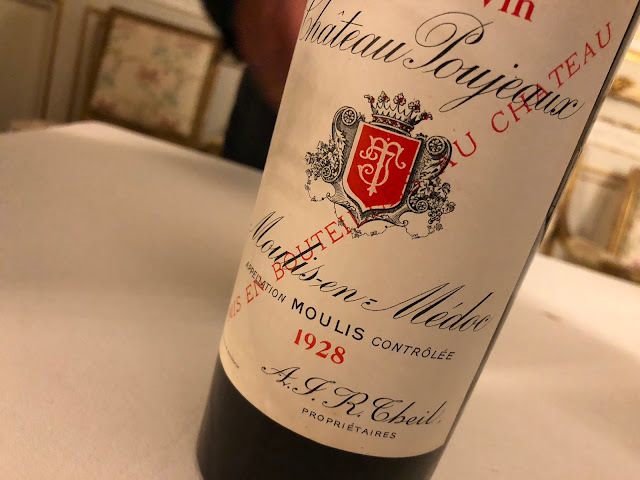 And then the third paragraph saying that the 2007 has more elegance, finesse, l'abus d'alcool est dangereux pour la santé, à consommer avec modération - ooooo sorry, that just slipped in by accident – and less concentration. Well great. Can't wait to abuse it. I mean taste. Taste it. Moi aussie, Sophie! You have made me laugh - though this auto censorship is ridiculous. It doesn't look as if Sarkozy is going to do anything about it though - but then he doesn't drink wine.